Tuesday morning and the little Gremlins were up early today… I woke at 5:30 knowing that I had a run planned for the morning. 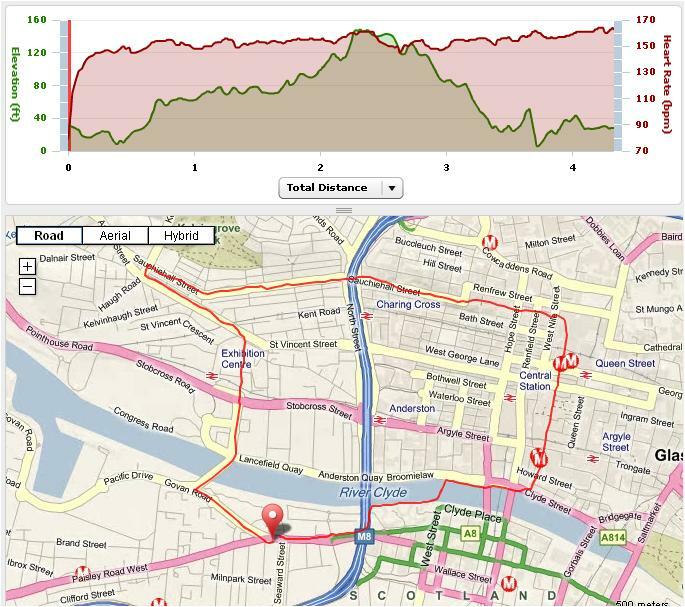 A nice wee easy 4.3 miles on a new route through the city centre. 6:10 came and I was thinking I could just lie in (Gremlins in my ear saying ‘just lie in’), but by 6:30am I was up and dressed. A little bowl of Special K to keep me going, then out the door. It was just getting light as I left at just after 6:50. 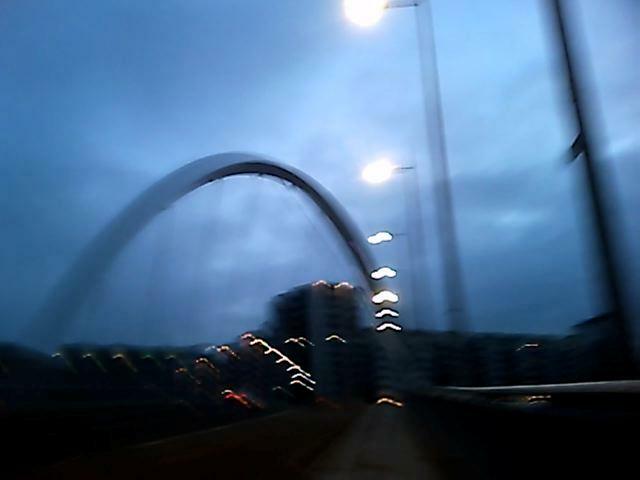 I ran over the Squinty Bridge, up Finneston, to Kevlin Way then right along Sauchihall Street and down Buchannan Street. Under the railway bridge on the cycle path, over the squigley bridge and home. I was taking it easy and noticed my pace for the first mile was what I was aiming for for the marathon pace… fingers crossed. 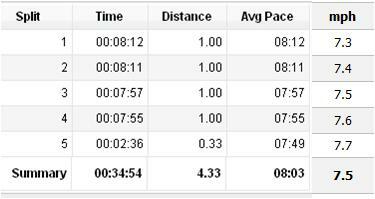 Now’s the time to try out pacing and I kept the pace pretty steady, increasing it sligtly for every mile. 8:15 to start ending at under 8:00 min miles for the last few miles. For the half marathon I’m doing, I’m hoping to run the first 6 miles at a comfortable 8:15 min mile pace (7.3mph), then over the next 4 miles increase it to 8:06 (7.4mph) and for the last 3.1 miles 8:00 min miles or below. 🙂 A good wee short test today anyway. 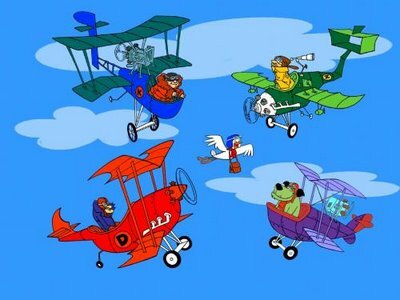 I was playing catch the pigeon right along Sauchihall Street and down Buchanan Street. Pigeons don’t tend to be around on my usual routes on the South Side of the city… I didn’t manage to catch any, but scared a few by running through them. It was quite a pleasant run, but I’m not sure I liked running where the streets were busy – I prefer running through the tree lined streets of the South Side I think. Nice for a change though. Maybe I should start running through the West End see how that is. It’s nice the lighter mornings are coming in, but it does mean it feels like I’m running on the same day as I’m up (when it’s dark sometimes it feels like it’s a whole other day). Run: 4.33M, 34:54, Pace: 7:57, 7.5mph, Calories: 455. 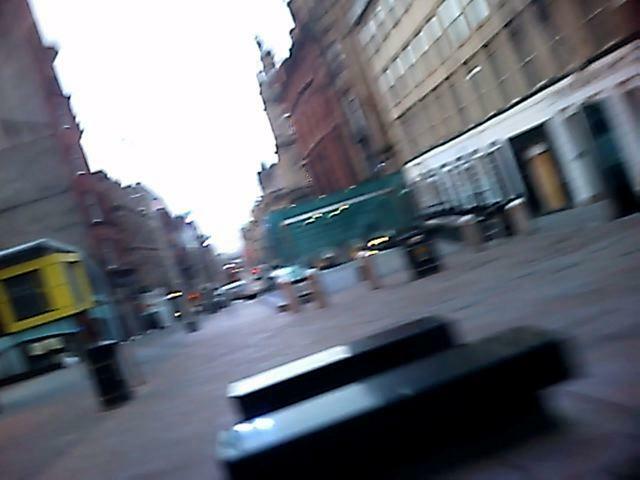 This entry was posted in Run and tagged buchanan street, easy, glasgow, miles, pigoens, run, sauchihall street, steady. Bookmark the permalink.